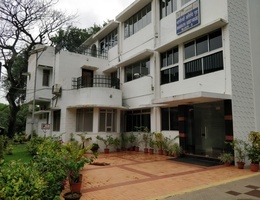 A team from ICAR-CIFRI comprising Dr. B.K. Das, Director and Dr. U.K. Sarkar, Head, Reservoir and Wetland Fisheries division visited the state of Telangana during 19th-21nd December 2017. 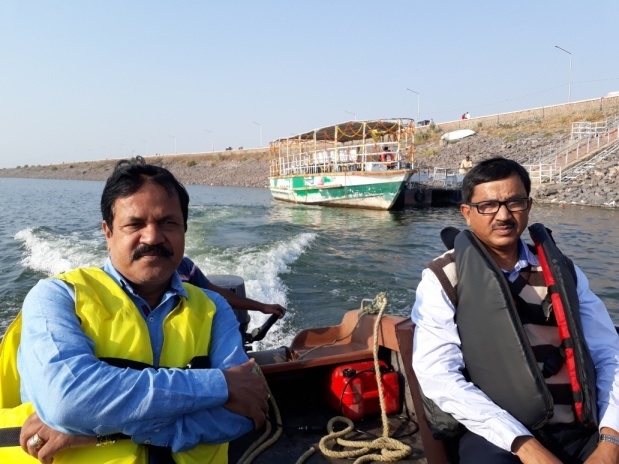 The team visited three reservoirs with senior state fisheries officials (Deputy Directors, Dr. V. Srinivas and Dr. M. Krishna) and conducted a rapid survey for site selection of proposed cage battery installation in Singur reservoir (Medak District, Godavari River basin), Koilsagar reservoir (Mahabubnagar District, Krishna River Basin) and Lower Manair Dam (Karimnagar district, Godavari River basin). 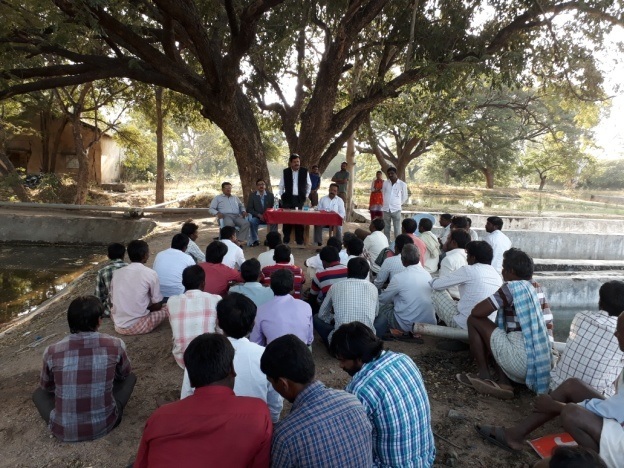 This was followed by thorough interaction with the associated fisheries stakeholders of the concerned reservoirs and successfully sensitized the fish farmers-fishermen regarding the benefits and principles of cage culture in reservoirs. 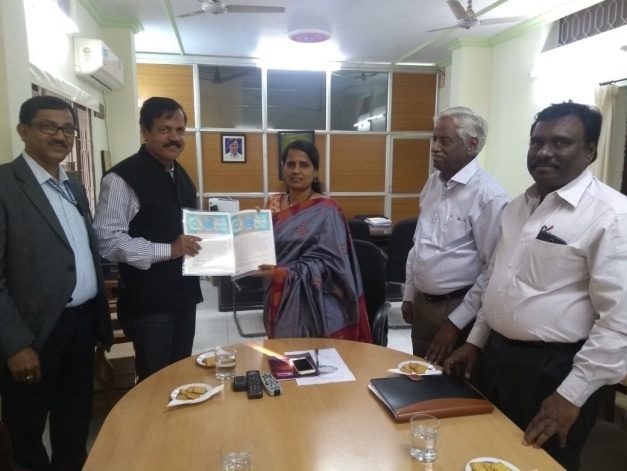 Based on the discussions and an expert panel SWOT analysis, two reservoirs were selected for a cage fish culture project namely - Koilsagar reservoir (1035 ha, medium reservoir) and Lower Manair Dam (12,500 ha, large reservoir). Accordingly, a two year MoU was signed by The Director of ICAR-CIFRI and The Commissioner of Fisheries, Govt. of Telangana (Dr. C. Suvarana) in presence of Dr. M.V. Gupta, world food prize laureate and presently Advisor, DoF, Govt of Telangana Head, RWF Divison of ICAR-CIFRI and DDFs of Govt. 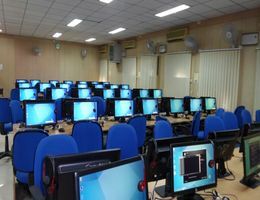 of Telanagana. Following this MoU, ICAR-CIFRI will provide all sorts of technical inputs, advisories including the deployment of CIFRI model cages and diversified high value species mix for cage culture. The state fisheries department of Telangana will take care of the logistics and expenditure incurred. 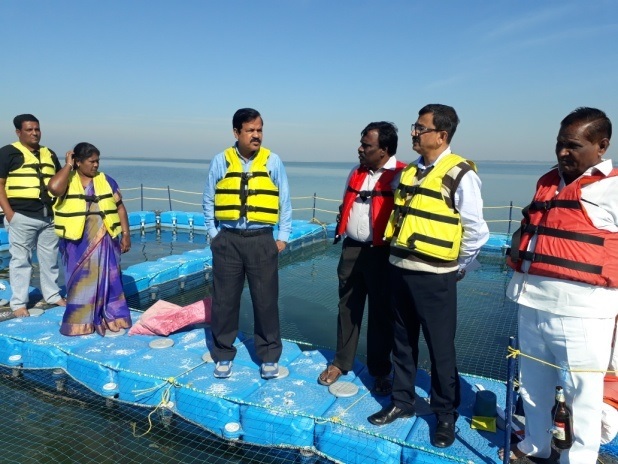 The cage aquaculture project in both the reservoirs will be jointly monitored by both the parties. This project is aimed to ensure sustainable reservoir fisheries development, culture fishery enhancement in inland waters and warrant livelihood-food security to the dependent stakeholders.